At first, their strong leanings on hip-hop and aggressive choreography seem reminiscent of the early days of K-pop phenomenon BTS. But there is something particular about this sparkling rookie group. 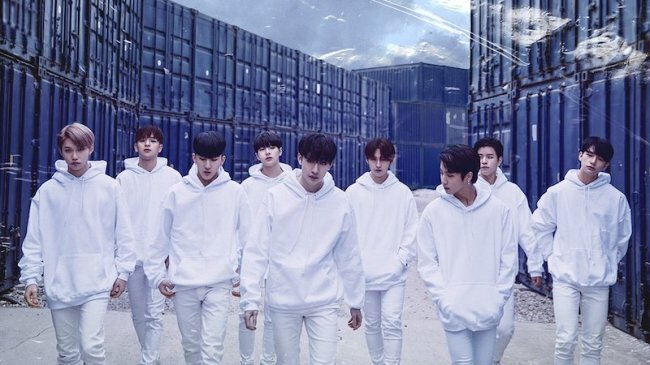 New JYP Entertainment group Stray Kids have seen quite a bit of success despite their short time in the scene; Since its debut in March, the nine-member group quickly racked up a huge international following and continued to create a buzz by landing its pre-debut album at No. 2 on Billboard’s World Albums chart, holding a massive debut showcase, and performing at KCON 2018 NY earlier in July. 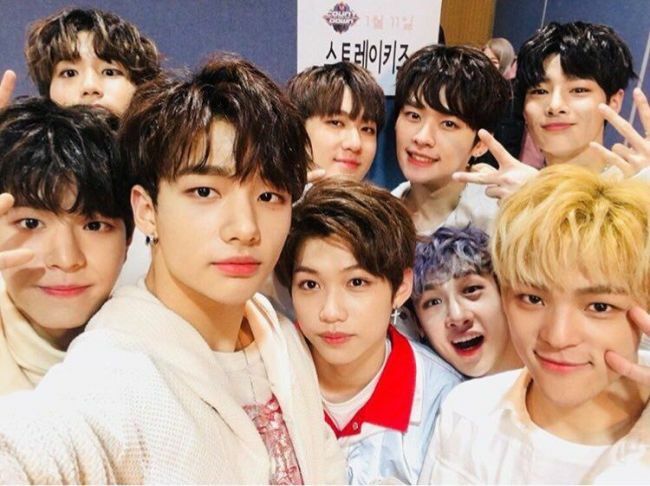 As it grows more prominent internationally, here are a few reasons why Stray Kids are the new power players in Korean pop. 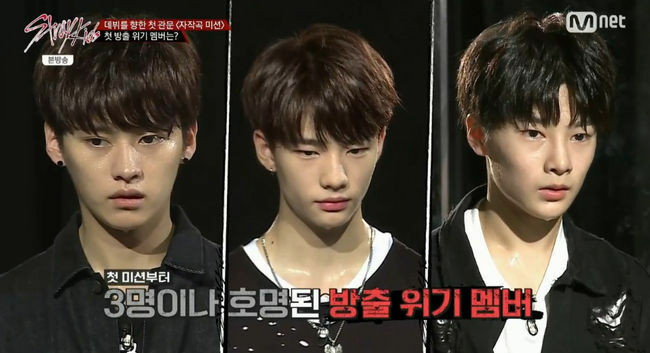 Aside from its intriguing music, the group’s fiery popularity was propelled by its televised struggles on “Stray Kids,” the 10-episode audition show that ran from October to December last year. As teenage trainees back then, the members had to prove their worth to debut as a team by showing fans the crude reality of becoming K-pop stars. Just like their predecessors I.O.I and Wanna One, Stray Kids successfully drew a built-in global fan base through the show. Its pre-debut album “Mixtape,” which features the songs it recorded throughout the show, reached No. 2 on Billboard’s World Albums chart upon its release in January. One of the reasons for likening Stray Kids to BTS is the rebellious energy in their music and performances. The aim of Stray Kids, in their late teens and early 20s, is very clear: The band hopes to make music that people of its age could relate to. Overflowing with youthful angst and contemplation, almost every track from its “Mixtape” album, such as “Hellevator” and “Spread My Wings,” centers on the identity crisis young people often face. As an act that has the most powerful hip-hop taste among JYP boy bands, its defiant spirit is also reflected in a music video for “District 9,” where the boys plot a jailbreak upon a schoolbus and dance fiercely while being surrounded by burning cars. Identifying itself as kids from the backstreets, the band creates its own soundscape, or “district,” where norms are questioned and divergence is allowed. Although many K-pop acts have a creative hand in their music, Stray Kids’ producer trio 3RACHA, consisted of rappers Bang Chan, Han and Changbin, are special in that they write almost every song for the group in collaboration with other songwriters and producers. In the act’s previous profile video, Han introduced himself as a rapper who prefers melodic and lyrical rapping, contrary to his image as an aggressive rapper. Changbin, on the other hand, has a penchant for heavy rapping, while Bangchan serves as a group leader. The early work of this producing trio, released in mixtapes, has been well-received by fans even before the group’s debut. 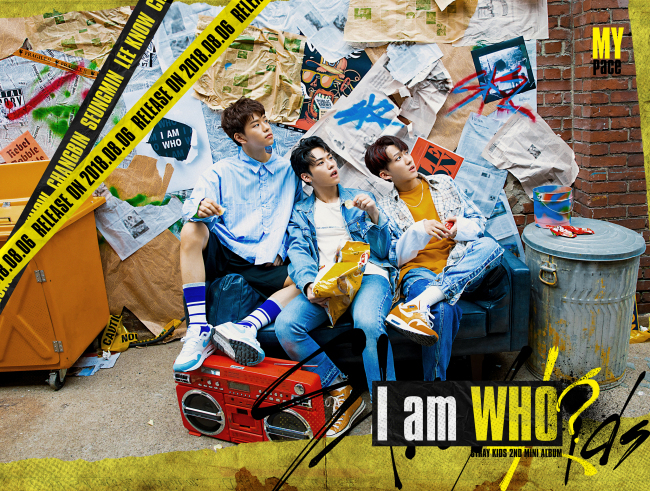 3RACHA has also showed off its production skills in the act’s new album “I Am Who.” Other members also have their own edges, with Lee Know, who had performed as a backup dancer for BTS, Felix, hailing from Australia, and Hyunjin showcasing eye-popping dance skills, while vocalists Woojin, Seungmin and I.N lend their mellow vocals to the hip-hop sound.